The APNU+AFC is defending its decision not to name Friday March 18, a National Holiday to facilitate Local Government Elections (LGE) saying that the turnout to Friday’s polls was better than what was expected. 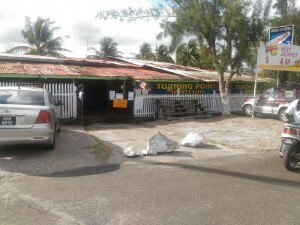 Credible sources have told Demerara Waves Online News that GECOM insiders had forecast a 30 percent turnout. 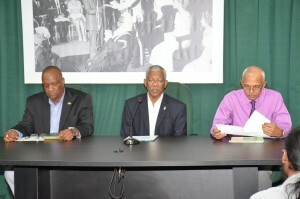 At a press conference on Saturday morning, President David Granger, Minister of State Joseph Harmon and Communities Minister Ronald Bulkan all pointed out that in the past LGE turn outs have been lower. The President pointed out that in some parts of Guyana’s there are no local government bodies hence all of Guyana was not required to vote. He pointed out one example as Region 8 and another being the Linden/Soesdyke Highway between Yarrowkabra and Linden. Harmon, for his part, pointed out that in the past instances when Guyana observed LGE, the voter turnout was significantly lower. “Historically the voter turnout has been lower than they are for national and regional elections…The voter turnout was even better than anticipated…It is really a fresh start almost where local government elections are concerned,” said Harmon. Relative to the government not naming Friday a holiday, Harmon declared that the turnout figures vindicate the government. “When you look at what has happened it is a decision that has been vindicated,” he affirmed. 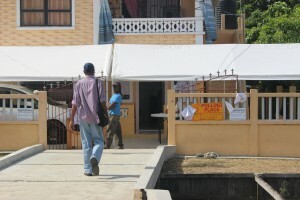 The Communities Minister estimated that approximately 40% of the electorate voted in Essequibo. “If indeed the overall turnout is around this figure…I would see that as a very high turnout,” he said. Polls closed at 18:00hrs, paving the way for the counting of votes and the posting of Statements of Poll at the 1,562 polling stations in the 72 town and neighbourhood councils.